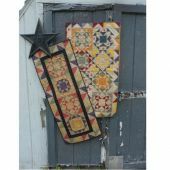 Showcase a large panel print by surrounding it with a ring of stars. 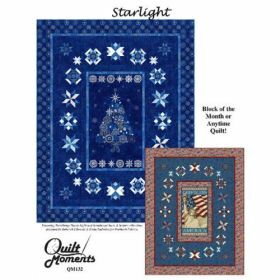 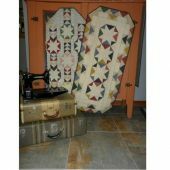 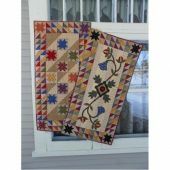 Directions cover different ooptions for the quilt center including large panel, large print, background fabric, or substituting more stars. 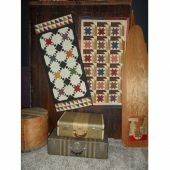 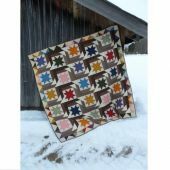 Pattern is written in a block of the month format so you can make it scrappy or follow the instructions for cutting everything at once. 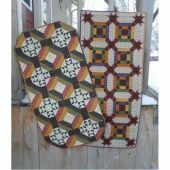 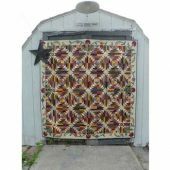 2 sizes: throw (54" x 74") & twin (72" x 90" with borders) Designed by Marilyn Foreman.